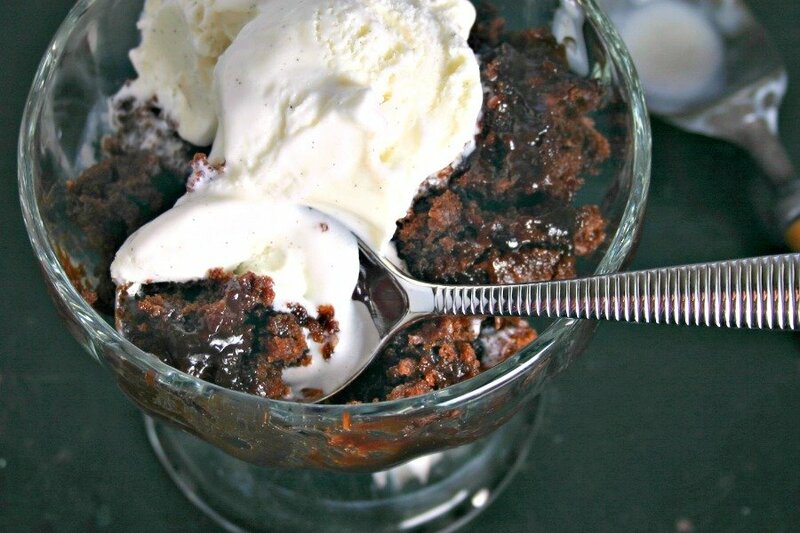 I might have eaten dessert first for dinner tonight, and it just might have been this gooey Chocolate Pudding Cake. It is #chocotoberfest after all! 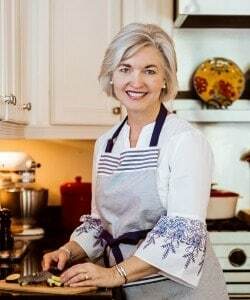 This week I’ve partnered with a group of awesome food bloggers to bring our readers an abundance of delicious CHOCOLATE recipes — you’ll definitely want to check out all the other yumminess at the bottom of this post — and to offer you an opportunity to win a chocolate prize pack worth $350! I tell you, I’ve been in chocolate heaven this week! 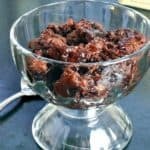 What I love about this Chocolate Pudding Cake is that it doesn’t require any special ingredients or extra trips to the grocery store, and as it bakes it creates a gooey chocolate topping (in the bottom of the pan). You don’t even need a mixer for this cake — it comes together in just three simple steps. All you need for this dessert is flour, sugar, cocoa, milk, oil, vanilla, nuts (optional), and boiling water — all staples in most pantries. I used Imperial Sugar (a trusted name in kitchens since 1843 and our #Chocotoberfest Gold Sponsor) in my recipe. 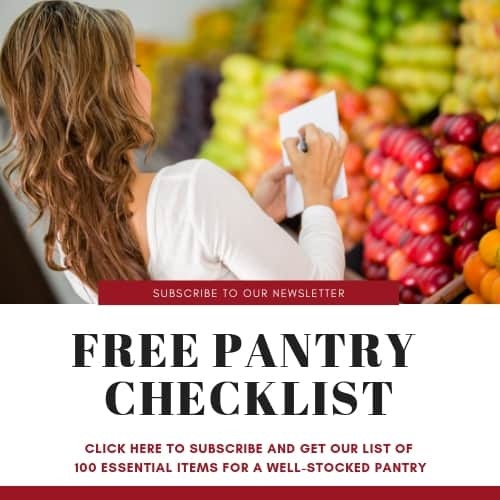 Their sugar products and sweeteners are made from non-GMO cane sugar and ensure consistently delicious results. 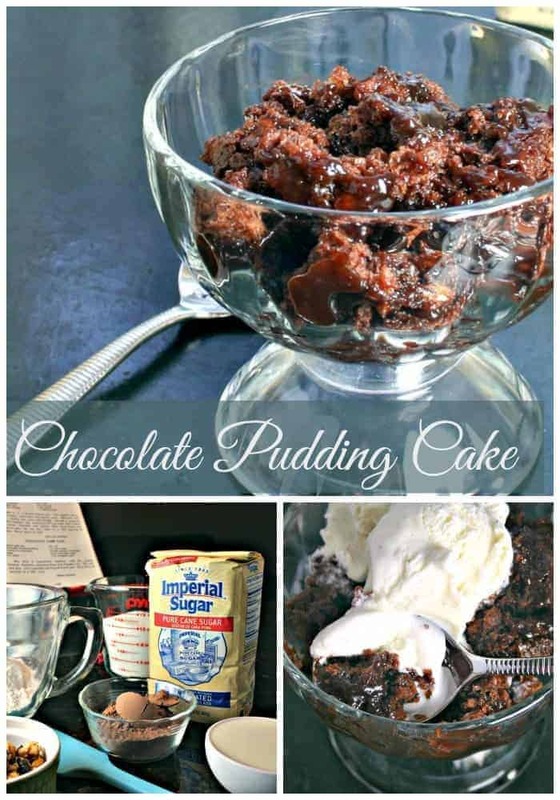 Chocolate Pudding Cake is basically like a cobbler and can be served warm or cold. I like it best warm with a scoop of vanilla ice cream — it tastes a lot like hot fudge cake! Enjoy, friends! 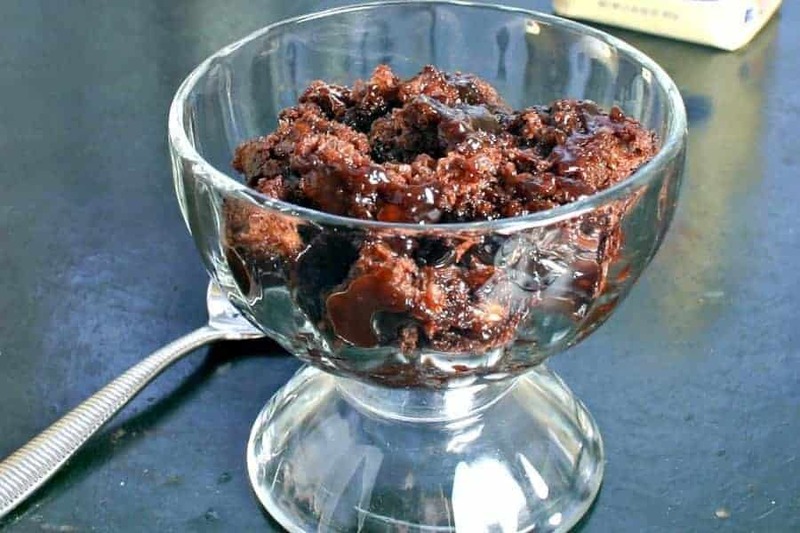 Chocolate Pudding Cake makes a gooey chocolate sauce as it bakes and can be served either warm or cold. Preheat oven to 350 degrees. Lightly coat the bottom of a 9x9 inch baking pan with cooking spray. 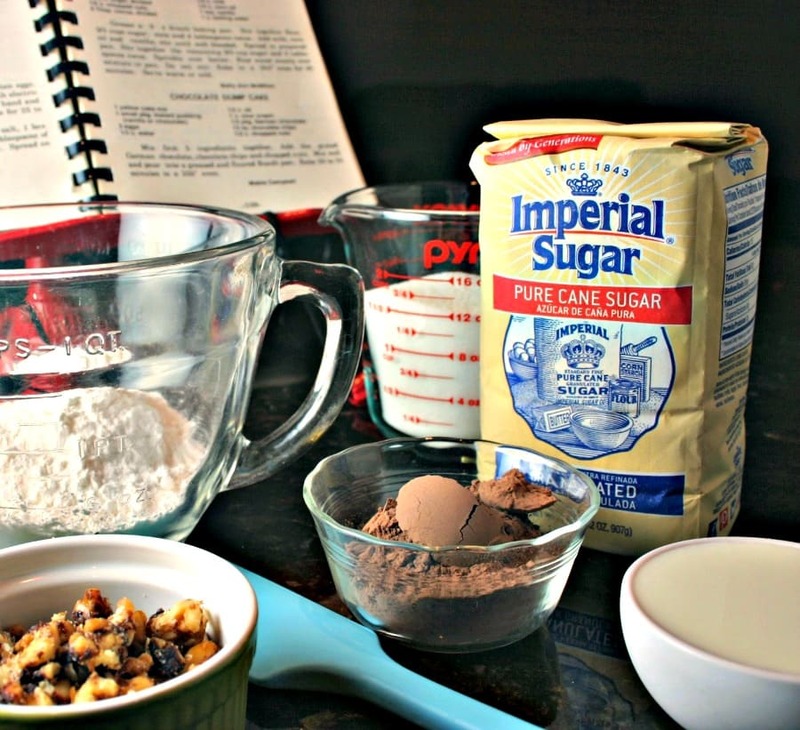 Stir together the dry ingredients (sugar, cocoa, flour, and nuts) in a medium bowl. Add the milk, canola oil, and vanilla; stir until well blended. Spread into the prepared baking pan. Combine the remaining sugar and cocoa and sprinkle evenly over the batter. Carefully pour boiling water evenly over top of batter and sugar mixture in pan. DO NOT stir. Bake for 45 minutes. Serve warm or cold with ice cream, if desired. A perfect recipe. Easy peasy and delicious. Dear Sheila, this cake looks incredibly delicious. I love hot fudge cake. Looks perfect warm, with vanilla bean ice-cream! I know my boys will love this. Have a wonderful weekend! Thanks, Allie! Enjoy your weekend, too! Oooh, this looks like a truly delicious, decadent dessert!